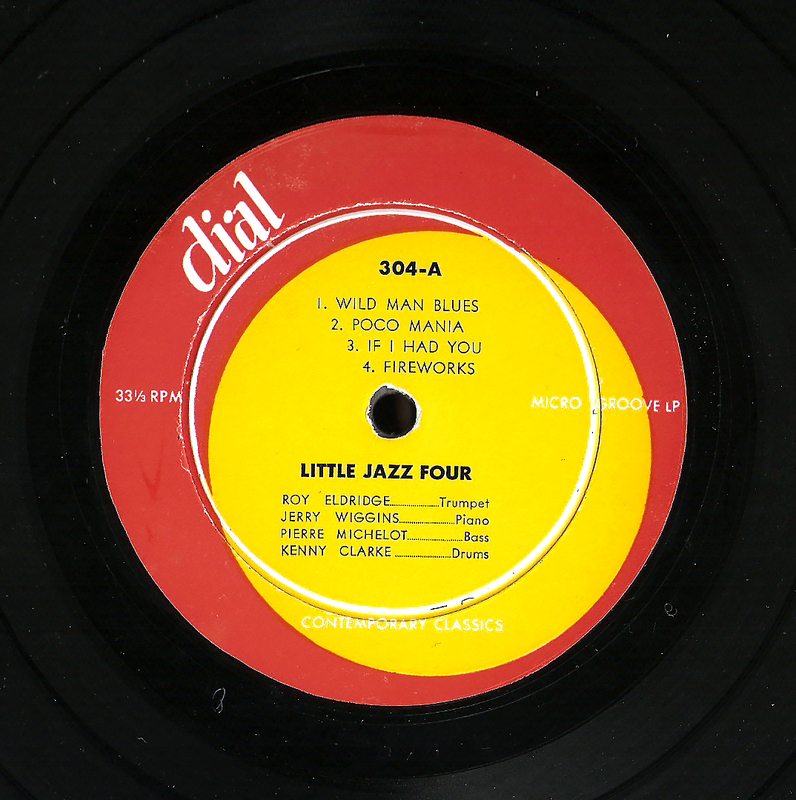 Little Jazz blows big horn with the 1953 Metronome All Stars. 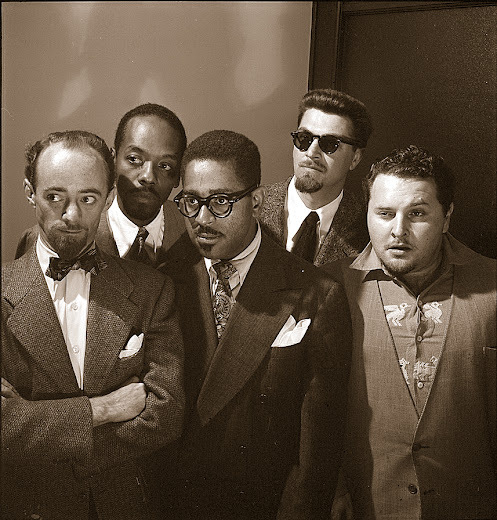 With Eldridge are, from left, John LaPorta, Teddy Wilson, Max Roach and Kai Winding. The recording date was at Fulton Studios on June 9, 1953, in New York City, not long after the offering in this posting was recorded. Here's another good'un. I nearly busted a gut when I found this Gem at a local church rummage sale. 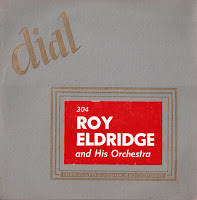 Original Dial 10-inchers are ultra rare, and what this one was doing in a box of of the usual Al Hirt and Mitch Miller favorites was, and shall remain, a mystery. But there it was, in near pristine condition. I snatched it up and forked over the selling price of four bits without a moment's hesitation. Last of the big spenders! It wasn't Dial LP1, the first independently-produced long-playing record by Charlie Parker, but it was a genuine Dial, the fourth LP released by Ross Russell, owner of Dial Records. 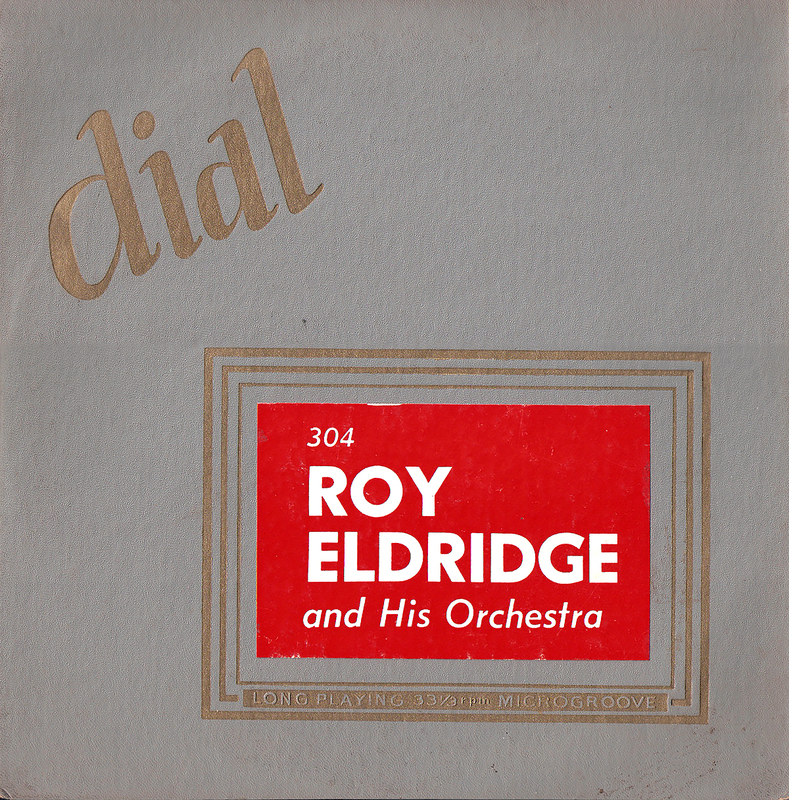 It came out in 1953 and featured trumpet great Roy Eldridge, a compilation of several dates he did while on a junket to Paris in 1950 with the Benny Goodman Sextet. BG and the band did several gigs during the month of June before heading back to the States. Roy, having found Paris to his liking, stayed behind, learned a little French and found a few places to play. He remained for nearly 18 months. Viva la France! While there, he went into the studio for the Vogue label and cut numerous sessions with both French and American musicians. These sides were selected from dates that featured the Raymond Fol Orchestra, a duet with Claude Bolling and a quartet with Gerry Wiggins and ex-patriot Kenny Clarke. Little Jazz is in top form, sounding like he did fifteen years earlier but with a slightly modern tinge. He also sings a little – listen to his subtlety modified lyrics on "Black and Blue." These sides were mostly reissued Stateside back in the '80s on two Inner City compilations, but I just know Gems fans will appreciate hearing them in their (semi) original form. The sound is excellent and required only a few touch-ups. From the original – and I mean original – vinyl, as always. 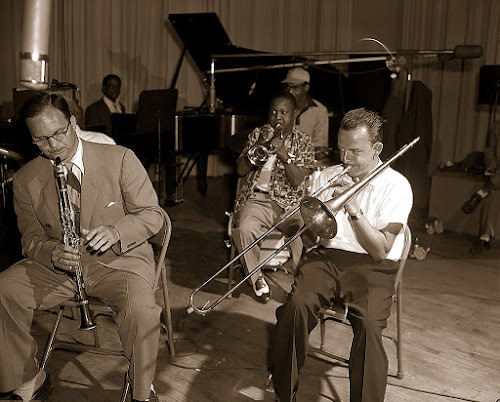 Roy Eldridge, tp; Gerry Wiggins, p; Pierre Michelot, b; Kenny Clarke, d.
Paris, France; June 14, 1950. *Eldridge, tp; Claude Bolling, p.
Eldridge, tp, v; Benny Vasseur, tbn; Alberty Ferrari, ts; William Boucaya, bar; Raymond Fol, p; Barney Spieler, b; Robert Barnet, d.
How often do you get to live near greatness? And not know it? Not too often, I suspect. In my case, out here in the far-flung Catskills, it happens more often than you might think. Pianist Hal Galper lives in the county. Kenny Werner, too. Guitarist and composer James Emery also lives nearby. Bill Mays plays his piano just across the Delaware in Pennsylvania. Hugh Brodie used to call me regularly from his home in the county seat, Monticello. My good friend, drummer Thurman Barker, lives in the town right next door to mine. There are many other refugees from the New York jazz scene in these rural hills, and at one time or another I've had the privilege to get to know most them. But one I missed. 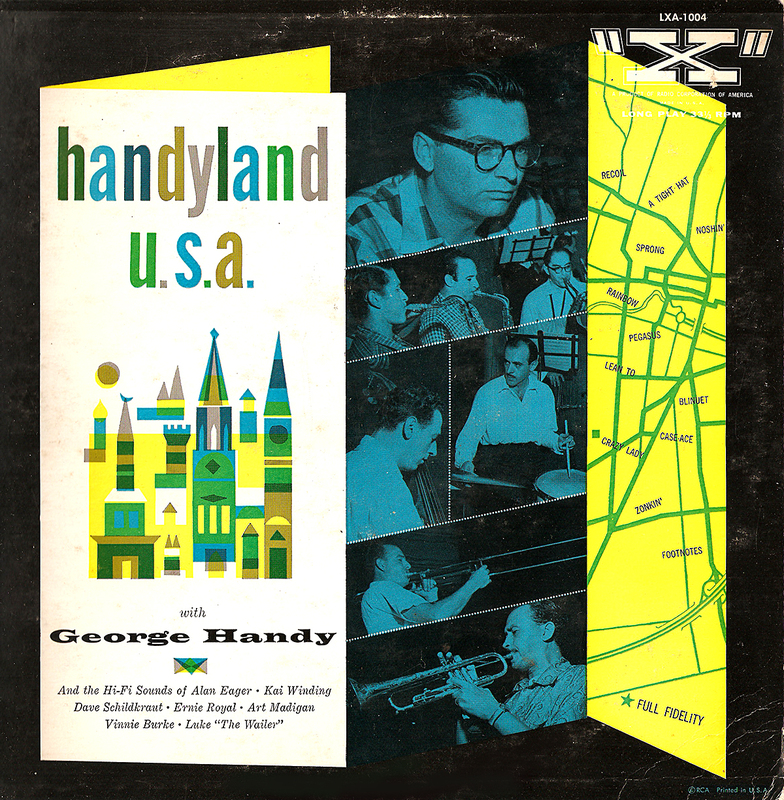 His name was George Handy, and he was a noted composer and arranger in the 1940s and '50s. 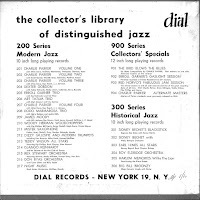 He's probably best known for his work with the progressive Boyd Raeburn Orchestra and then for his singular contribution to producer Norman Granz's landmark recording, "The Jazz Scene" (also offered here on Gems). He had a tempestuous relationship with the music biz and made only a few recordings while he was still active in New York and Los Angeles. One of those is featured with this posting. 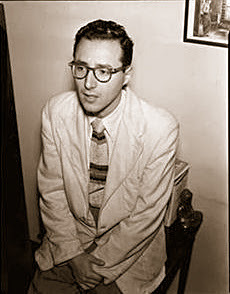 George bailed on the industry for good in the late 1950s, settling eventually in upstate New York. He chose the Catskills because there was, at the time, a vibrant hotel scene with thousands of tourists and plenty of work for musicians who had tired of the New York City rat race. 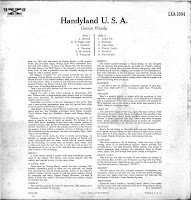 Handy worked in near anonymity in world class resorts like Grossinger's, Brown's and Kutsher's. He played piano in pit bands, doing arrangements as needed for whatever acts were appearing. I was told about George Handy by other musicians I met not long after moving here myself. "You should talk to George," they all urged. 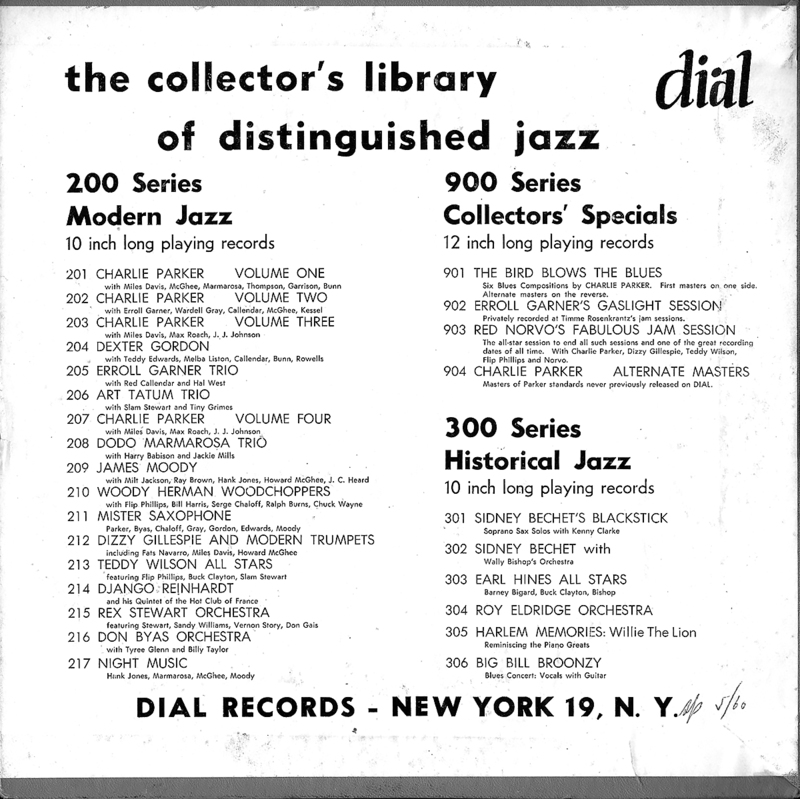 But somehow, even after I started doing my jazz radio show, I never got around to it. And then, in 1997, I heard George had died. An opportunity missed, for sure. But why did Handy opt out of the big music world just 120 miles to the south? I asked a friend, a reed player who worked in the hotel bands with George, and he said it was the usual story, one often told about musicians from Handy's era. Apparently George had picked up a habit, as so many did, and it made him unreliable. He likely moved to the sticks to regain his health. Dave Schildkraut, looking quite natty. 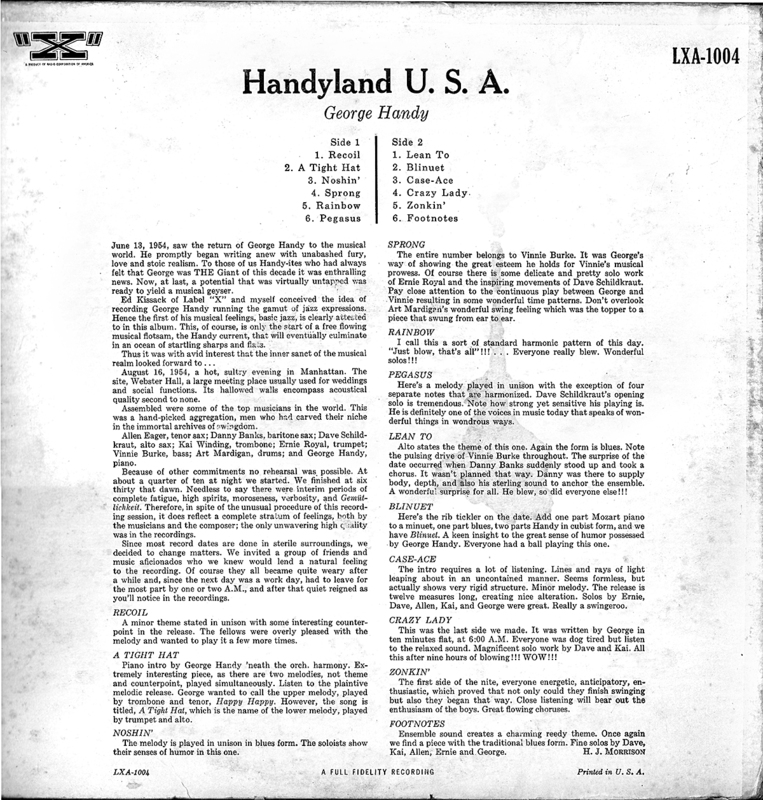 But in the summer of 1954, when this record was made, Handy was in top form. The dozen tunes on this album, all originals, were all recorded in one long night, as you'll read in the liner notes, and all they were entirely new to the players. The band just played the charts cold and soloed like the hardened pros they were. Handy is on piano, and he gets in a few good licks. The players were some of the best in the city at the time, and the obscure Dave Schildkraut makes a rare appearance. Allen Eager, about to become a ski instructor, is also onboard. This record was a thrift shop find and looked funky. But, as you'll hear, the sound is quite good – very little cleaning was required. Recorded, as always, from the original "X" label vinyl, crew. Enjoy! Handy, p, comp, arr; Ernie Royal, tp; Kai Winding, tbn; Dave Schildkraut, as; Allen Eager, ts; Danny banks, bar; Vinnie Burke, b; Art Mardigan, d.